At our healthy food caf? 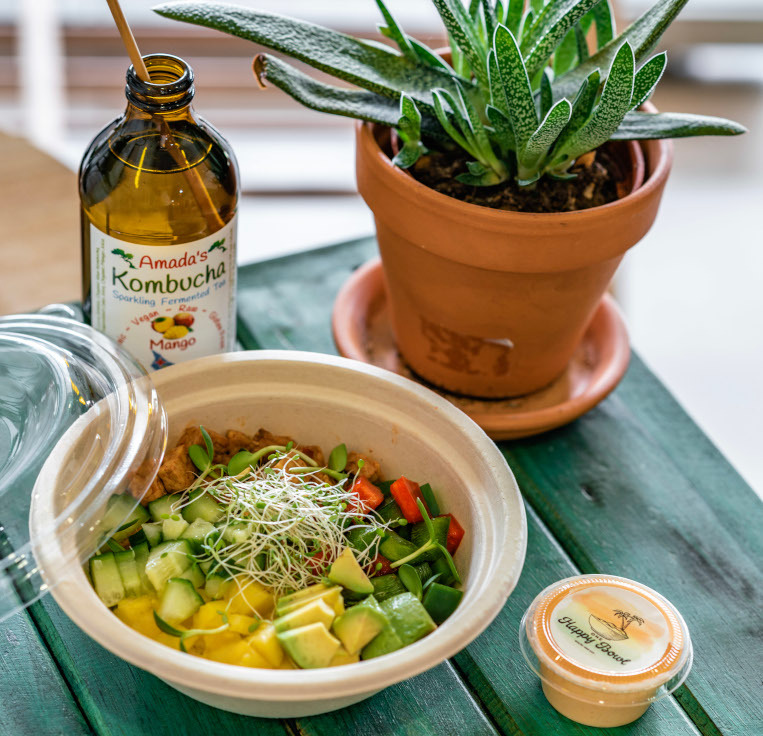 you can enjoy our delicious bowls, filled with plant-friendly goodness! Pick your favorite toppings and dig in! Also we serve you great breakfast options, healthy snacks, pastries and drinks. And it doesn?t stop there! We have our Flamingo Pancakes and Baked Bananas for those in need of a guilty pleasure. Just step by for a happy & healthy time!